Today, we add yet another new feature to the pile: a Wacom-powered touchscreen. As many of you already know, a Wacom screen means one very important thing is coming for ‘Sarien’, and that thing is stylus support. 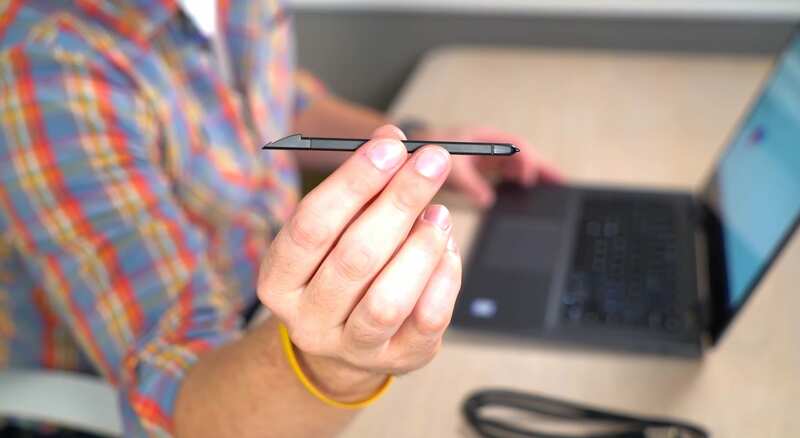 Now, given this is a new device from Dell, it isn’t too crazy to imagine that ‘Sarien’ will support the same Wacom EMR stylus setup that the fantastic Dell Inspiron Chromebook 14 is sporting with it’s larger-than-standard stowable pen. It doesn’t get much more straightforward than that. While we fully expect to keep finding more and more behind this new Chromebook detachable from Dell, the knowledge that it will be using the latest processors and possesses a Wacom touchscreen and pen make for a great start. As always, we’ll keep digging for more info.